A LOCAL swim club has been pushed in the deep end following a confidential decision by council to close the Mill Park Leisure Centre for two years. The Mill Park Orcas were forced into a two year hiatus with the announcement the Whittlesea Council would close the leisure centre during a $25 million upgrade – a decision which was made in a closed meeting earlier this year. Now families from Kinglake, Whittlesea, Mernda and Mill Park have been left out in the cold. For 18 months the club liaised with council regarding a staged approach, with discussions still taking place in December. The first the club heard about the full closure was earlier this year, which was a shock to the club who had provided input on the facilities and written two letters of support for funding. Orcas president Simon Dowsett told the Whittlesea Review that the decision to close the facility was the “straw that broke the camel’s back” for the club. “Everyone has been disappointed. And, disappointed probably because we’ve known that the redevelopment’s coming and we’ve been planning for it… we thought it was going to be a staged approach and we were saying we’ll be able to ride that out,” Mr Dowsett said. The club approached council about extending the opening months at the Whittlesea Pool as well as limited upgrades however were told it was not an option. As a result of the club going into hiatus, many families from the Kinglake and Whittlesea area will have to travel further south to enrol their children in swim club. Natalie Watson from Kinglake has two daughters, Taylah and Elly, in the Orcas swim club and she said training in Whittlesea was a drawcard. “We’re a close friendly club and it’s disappointing for everyone to have to move on and start again,” Ms Watson said. South East Ward Cr Mary Lalios joined the many community voices asking where local families will swim when Whittlesea is closed in the cooler months. “A few years ago, council awarded the Mill Park Swim club a small grant to help them rebuild, as they were struggling. Just as the club has rebuilt,” she said. 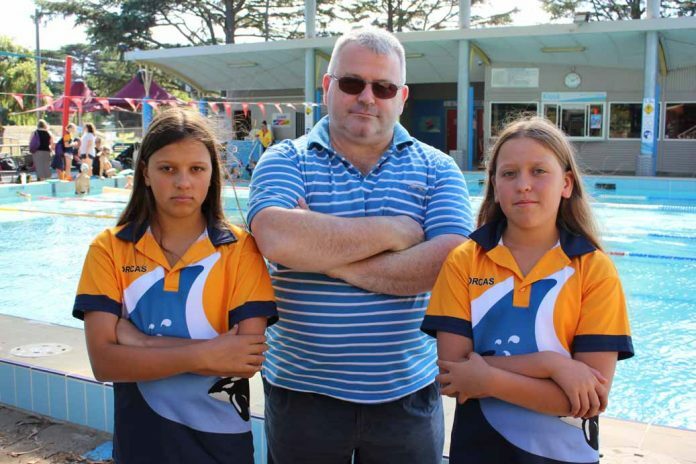 Whittlesea Council’s Director Community Service Russell Hopkins said that it was the Mill Park Swim Club who opted to suspend operations from March 2018 due to existing circumstances, including not having a senior swimming coach. He also said there are planned renovations at the Whittlesea Swim Centre in the middle of the year, making earlier access impossible. At the time of print, council had been unable to confirm what the renovations are.